A common debate on knife forums and the source of much confusion, the differences between carbon steel and stainless steel have perplexed outdoorsmen for generations. How are they different? Which is better? Anyone who loves knives has contemplated these questions. The reason this debate continues is simple: It's not simple! In reality we should not debate which is better, carbon steel or stainless steel, we should compare the many different types of steel and choose which is best for a given situation. You see, there are dozens, probably hundreds, of types of steel used in knives. They do not all fall neatly into "carbon" or "stainless". To make matters worse many companies use a proprietary steel and do not release their exact formula. Since it is not possible to compare all steels, the best we can do is make general conclusions. All stainless steel contains chromium. Chromium helps prevent corrosion. However, it also changes the properties of steel in ways that can be undesirable. For knife users, the most negative affect chromium has on steel is that it makes steel more brittle. Knives with a high chromium content are harder to sharpen and more prone to breakage than knives with a low chromium content. To be officially categorized as "stainless", steel must contain more than 11% chromium by mass. Any steel containing less than 10.5% chromium could be classified as "carbon" steel. True carbon steel contains less than 3% chromium. So you see, the difference between advertised carbon steel and stainless steel could be 1% more or less of chromium. Will a blade with 10% chromium be noticeably different than a blade with 11%? Probably not to the common man. For the sake of this discussion "carbon steel" will refer to steel with less than 3% chromium and "stainless steel" will refer to steel with more than 11% chromium. Good steel contains at least .6% carbon. This holds true for both carbon or stainless steels. It is the carbon in the steel that allows it to be hardened to useful levels. Carbon allows the steel to be hard, yet flexible. Stainless steel blades have the advantage of being resistant to tarnish and rust. 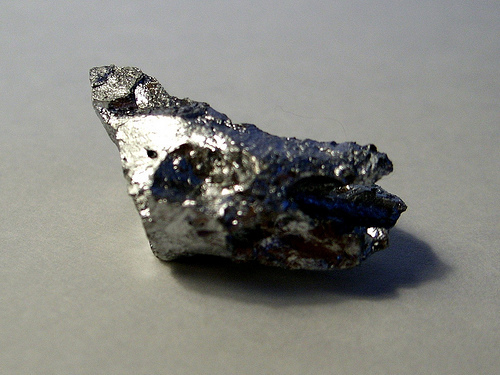 The amount of chromium present determines how resistant it is. A knife with 11% chromium may be considered "stainless" but will eventually tarnish and rust. A knife that has 23% chromium may never rust, even when exposed to salt water. Think about it though: if 23% of the knife is chromium only 77% is steel! How well can you expect this knife to perform? As mentioned previously, this protection comes with a price. The more chromium the more brittle the blade. No one wants a knife that is too soft or too brittle. If it is soft, the edge will not last and the knife will bend. Too brittle and the knife will be difficult to sharpen and will break. On the flip side, carbon steel blades will tarnish and will easily rust. You must clean them after each use. The blades will stain when exposed to blood and many acidic plants. This staining does not affect the blades performance and can actually protect it. Carbon steel is traditionally more flexible and easier to sharpen than stainless steel. Both types of steel can be made equally sharp and be tempered to the same hardness. All of the above is really just academic. What is important is how they perform in real life. For this I can only draw on personal experience. I own dozens of knives. I am quite good an making them sharp. How sharp? Sharper than a razor blade. There is no question in my mind that carbon steel blades are easier to sharpen. How easy? It takes me less than a minute to fully sharpen a carbon steel blade with a proper edge. A stainless steel blade will take five times that. Look closely. The edge of theis carbon steel blade has been bent and repaired. I've also noticed that when I am using a knife and it hits something hard like a bone or rock, a carbon steel edge will "bend" and a stainless steel edge will chip. A bent edge can be easily fixed, but a chipped edge needs to be reground. In my experience, carbon steel blades are just as easy to take care of as stainless steel. I wipe a blade off to clean it to matter what it is made of. Who wants dirt or blood on a blade that you may cut food with someday? Once a carbon steel blade develops a patina it is fairly care free. I prefer a carbon steel blade. Are all stainless steels bad? No! I like the stainless steel used by Victorinox and Puma. Both use proprietary blends and are great! Modern, high quality stainless steel can come very close to the performance of carbon steel. If you work in a salt water environment, stainless is the only way to go. Is all carbon steel good? No! Steels with low amounts of carbon or that are poorly tempered make poor knives. Not only are they hard to sharpen and brittle, they rust! It really depends on the manufacturer. Most popular brands use good quality steel, if they did not they would no longer be in business. I can vouch for the steel used in Buck, Puma, Ka-Bar, Mora, Case, Victorinox, and Benchmade knives. Gerber, Spiderco, and SOG use a wide variety of steels in their knives ranging from poor to very good. You need to research the individual knives of these three brands. I personally do not care for Cold Steel, Schrade (since being sold in 2004), or "Made in China" brands. However, no matter what brand, a high quality carbon steel blade will always outperform a high quality stainless steel blade. By high quality, I am talking a $200 and up price tag. Something that is forged with love and care. If you have never used a carbon steel blade before, I highly recommend you try one. I recommend the Mora Classic Number 2. It is inexpensive, but has a very high quality carbon steel. Basically the same steel used in the Ka-Bar fighting knife.